Have you noticed that when you make some progress in life, say buy a car, build a house or get hitched, many people will not share in your joy. I guess that is human nature. 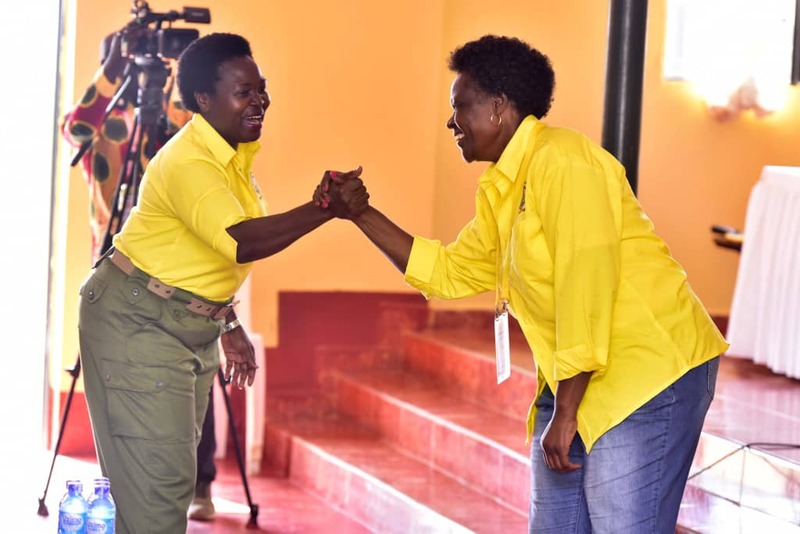 On Monday, some FDC supporters took to social media and attacked Beatrice Anywar aka Mama Mabira after she was photographed at Kyankwanzi, “romancing” with MPs from the NRM. Officially Mama Mabira is an independent MP representing Kitgum Municipality. But for long she was a staunch supporter of FDC, shadow minister for Environment and avid critic of President Museveni and the NRM. She earned the moniker, Mama Mabira, after leading protests in 2008 against the give-away of part of Mabira Forest, riots that led to the death of some people. Fast forward on Monday, she was in Kyankwanzi attending the NRM parliamentary retreat. Like a bride at a wedding who had found a better suitor, Mama Mabira could not hide her excitement at Kyankwanzi. “She clapped, danced and exchanged high-fives when Museveni accepted the MPs’ resolution to carry NRM’s flag in the 2021 elections. 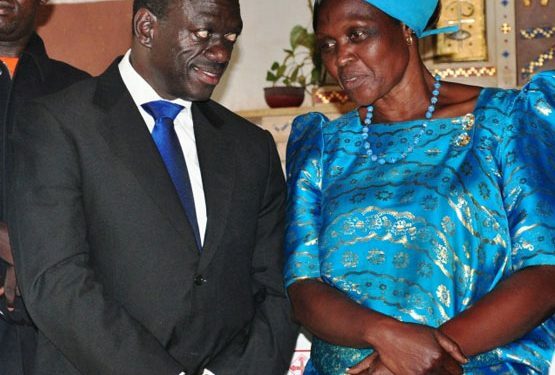 Back to the FDC supporters, I think many are just jealous of Mama Mabira’s new political fortune. They are acting like a poor jilted lover who does not want to stomach the fact that their former partner has moved on and found a new, richer catch. See, in FDC and other opposition parties, Mama Mabira knows that there is only poverty. Even Ronald Muhinda, the affable personal aide to Dr Kizza Besigye once confessed that a rolex accompanied by a cup of “dry tea” was his favourite meal. He said he had only eaten Serena like food in his dreams! I am told one time when Mama Mabira wanted money to change her hairstyle and vanish her nails after those violent Mabira protests, she was told to wait until FDC gets to power. But who waits when there are other wealthier suitors like the NRM? In villages men fight fellow men over the simple fact that one of them gave the other’s wife a lift on a bicycle. In towns and cities like Kampala, women want to ride in SUVs, eat at Cafe Javas and make their hair at Sparkle’s salon. Politicians fight for influence, power and money or at least one of the three. So if Mama Mabira has found a money mine in the NRM, how different would that be from a lady who ditches a poor fellow or a rich one? So personally, I think these FDC supporters were just jealous of Mama Mabira. In fact quietly, some of them wish they were in her shoes. Let me end however with a word of caution to the NRM. As you embrace Mama Mabira, you should know that she has juggled three men in the last three years. She first fell head over heels with Besigye and they painted the town blue. Those who care to remember know that Besigye celebrated the Christmas of 2010 at Mama Mabira’s home in Kitgum. Don’t ask me how I got to know this. I was part of Besigye’s travelling party as a journalist. 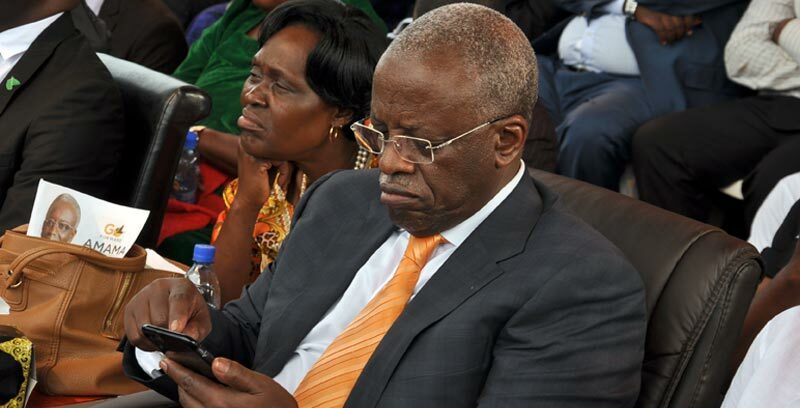 But later after the 2011 elections, the two fell apart and she moved on to the next suitor: Amama Mbabazi. Having broken ranks with President Museveni, Mbabazi was the proverbial new dude on the block and many girls were fighting to catch his attention. Mama Mabira did not want to remain backwards so she beat many people when she acted as one of Mbabazi’s presidential nominators at Namboole and later delivered a speech at Nakivubo where she praised the former prime minister. Yet Mbabazi was still naive and love struck to scrutinise Mama Mabira’s credentials. So after the 2016 elections, Mama Mabira jumped ship and started hobnobbing with the big man in the NRM. She started bad mouthing her former suitors that they were not good and had treated her badly. Well, the big man welcomed her with open arms, gave her some good cash and she started singing his praises. Still, their relationship was in rumours, only spoken about in hushed tones in the corridors of power. Mama Mabira with Museveni at a function in Kitgum. 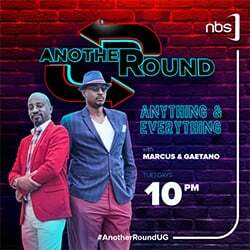 But in Kyankwanzi, she confirmed all the rumours and what has long been an open secret. Her heart is now with the NRM. Go hang on a tomato stem, it you like. If I were an FDC supporter, I would not give a hoot about Mama Mabira’s decision. I would just wait and see how her affair with the NRM will pan out. But as a rogue, I know surely as night follows day, when the next wealthy suitor shows up, Mama Mabira will be one of the first people to jump off the yellow bus. The Rogue is a satirical column that runs once a week on Nile Post.